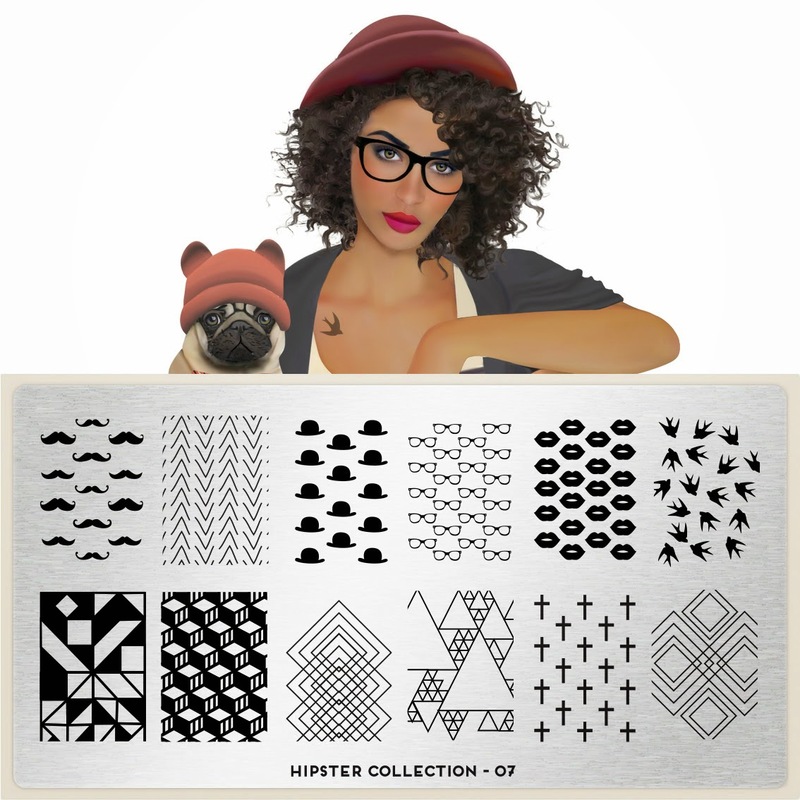 Lacquer Lockdown: Hot Off The Stamping Press: MoYou London Hipster Collection + Discount Code!! 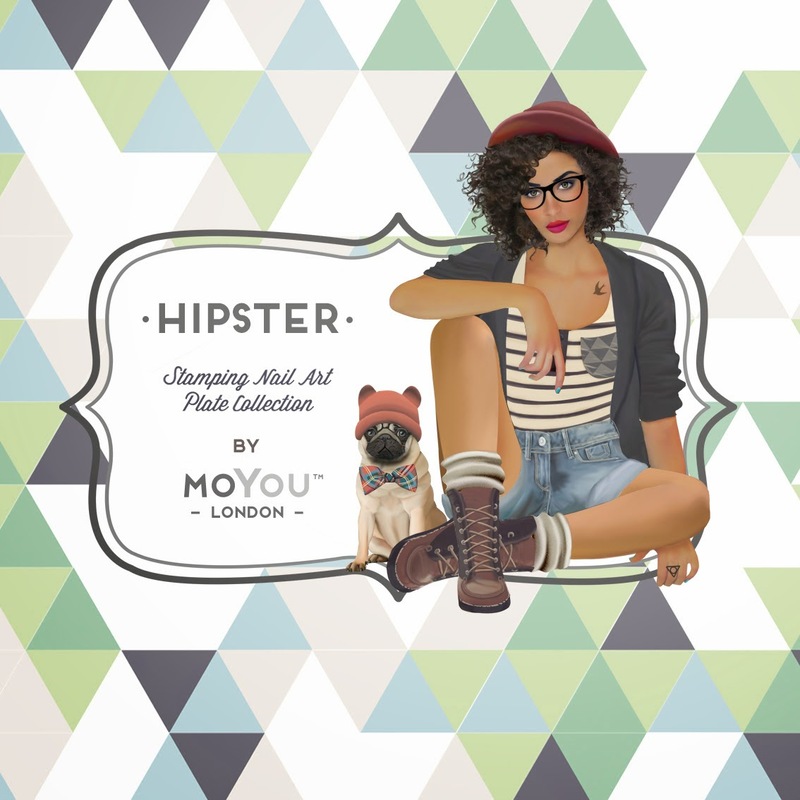 Hot Off The Stamping Press: MoYou London Hipster Collection + Discount Code!! MoYou London is at it again releasing another new collection this week that's aimed at all the hipster loving nail art fanatic ladies out there! 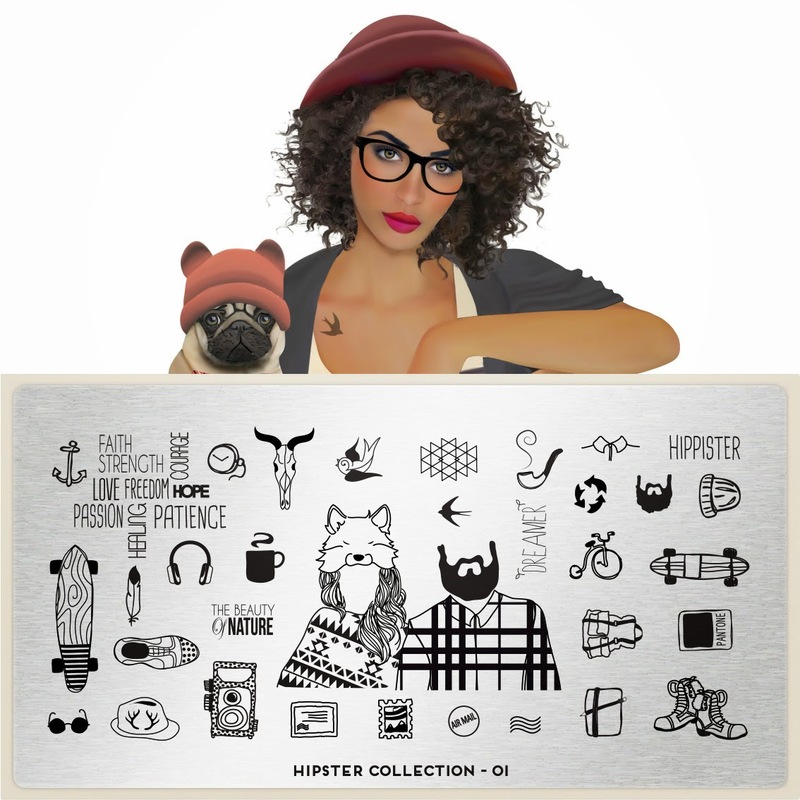 According to MoYou London and the Urban Dictionary hipsters are a subculture of men and women that value independent thinking, counter-culture, progressive politics, an appreciation of art and indie-rock, creativity intelligence, and witty banter. Lol and here I thought they were just the posers populating Logan Circle in their little hats and suspenders ;) In any case there are 4 new plates that comprise this collection so let's take a look. Ok let's stop for a moment here. The image of the woman with a foxshaped hat lolol I don't even really know what to say about that. Except this is hilarious. I'm not sure how I feel about creating a mani using that image but somehow I think it would be so win! Oh swag! I'm not sure why there is a stamp with the Helvetica font name in it. Is that a hipster thing? Also is anyone else seeing the mini sushi and the old school Gameboy? Love! Ok I might be alone when I say this, but sometimes I wonder why MoYou will start a new collection that would already fit quite well into a pre-existing collection. 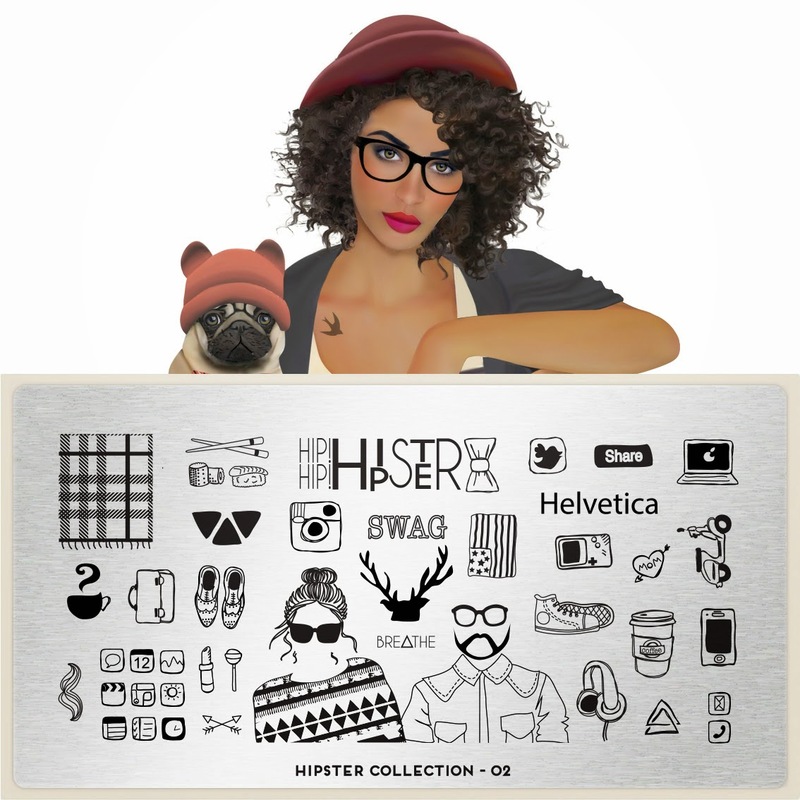 For instance, I feel like the Rebel Collection is already pretty hipster-ish. It would have been easy just to add to that collection since it only contains 3 plates that have similar themes including mustaches of all varieties, comicbook iconography etc. Don't get me wrong I love these plates and it hardly matters what collection they are in, but I think my brain prefers more straightforward organizing for ease of finding plates when I'm creating nail art. I love this plate! I mean really really love it! Geometric abstracts and bowler hats? Yes please! Ok not to sound hype but note this is plate 7 of the collection. That means we are getting a glimpse with at least 3 more coming soon! Well you must be a lucky ducky! Thank you for the 10% off coupon code. I ordered yesterday from out here in California. I was hunting down a coupon code. I didn't care what the amount was. As long as I found one, lol. And I stumbled on your review and your code. So thank you. I was going to buy the plates regardless. So a your code was a bonus.